Is it time to sell your condo? While you may think that selling a condo is the same as selling a house, there are distinct differences that are important to know before putting yours on the market. Check out these pointers to ensure you sell yours quickly and for a profit. Generally speaking, most real estate experts agree that spring is the best time to put a home on the market. While that may be true for a single-family residence, it isn’t always the case for a condo. If your condo is in an area that is a popular tourist destination, you’ll want to take that into consideration. Are you near the beach or a ski resort? You’ll likely have the most luck selling your condo right before the tourist season begins, when many potential buyers may be looking for a vacation home. Pricing a single family home can be challenging, especially if there are no suitable comps nearby. 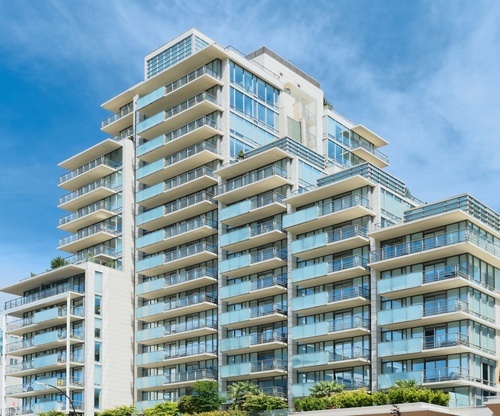 This is one area where condo sellers have a leg up, as recent sales data from units identical to yours can be used to determine your selling price. However, you should keep in mind subtle differences that can affect your listing, such as where your unit is located in the building and what amenities you may or may not have compared to other units. Condos tend to be smaller than most single-family homes. They are also very similar to all the other units around it, making it difficult for yours to stand out. Staging becomes very important when selling your condo. Do a thorough sweep to clean, repair and de-clutter. You don’t want excess furniture hanging around making the space feel small. Use staging to highlight any qualities that make your unit special, such as a great view or upgraded, custom cabinets. Condo living appeals to a certain kind of buyer, so it’s essential to market your condo in a way that will emphasize what potential buyers are looking for. Condos offer ease of living and access to community amenities that are typically not found in single-family homes. They often appeal to those who travel, who don’t want to spend time maintaining a yard or who would like the advantage of having a pool without the tedious maintenance. Know your audience and speak directly to them. Finally, work with a qualified real estate agent who has experience marketing and selling condos in your area. When interviewing agents, be sure to ask how many condos they typically sell in a year and how they intend to market your condo to potential buyers. Having an experienced agent in your corner will ensure that your condo shows well so that you have the best chance of selling it quickly and for a great price. By understanding the unique challenges of selling a condo, you’ll set yourself up for success from the outset. Follow the steps above and you’ll be well on your way to a favorable sale!